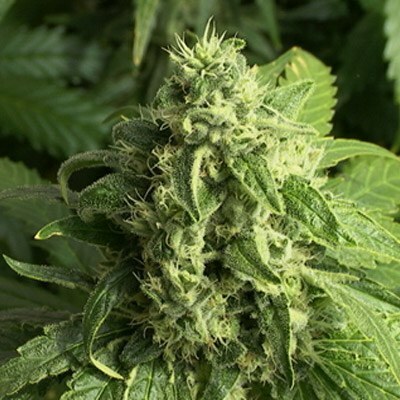 Godfather Bud is the “Don of Dagga” because of it's very high THC levels. Dagga is slang for Marijuana for those that didn't know. 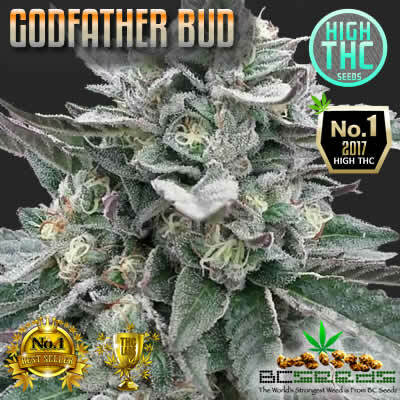 Godfather bud by BC Seeds has the highest THC levels in their Godfather OG strain than any other seed bank. The world's strongest strain because it has the highest THC Levels. Categories: Cannabis Seeds, BC Seeds, World's Strongest. Tags: God Father Bud Strain, World's Strogest Strain. Godfather Bud flowering times are very short, as is her outdoor season. She finishes flowering the third week of September. She’s mostly indica in genetics and appearance. She remains short and squat with a few broad leaves that turn purple and blue. When fully cured, her nugs are dense and heavy. Her smoke is thick, yet smooth on your lungs when you grow her organically. 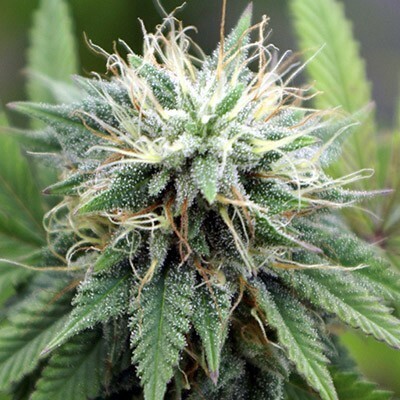 Godfather bud erases those deep tissue pains in your back and joints. Just like the NSAID toradol given as an IV drip, it’s a great short term relieve of pains deep inside the body. 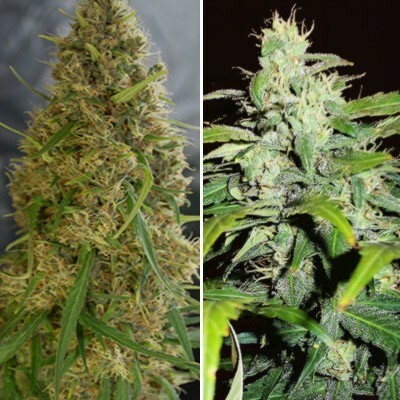 Newbies looking to grow a world’s strongest strain hassel-free should choose Godfather Bud. You can make small growing errors and she’ll take the abuse. It’s a good reason why she manages to grow well outdoors in cooler climates. Godfather Bud has an interesting background. She’s a cross between our world’s strongest Purple Elephant, a 100% Indica Candy Kush mother and our unreleased Afghani Confidential. She’s a 60% Indica dominate strain with outstanding sedative qualities. She makes white, yellowinsh hairs and some hairs that are purple. Sticky buds and coated with trichomes. Medical marijuna specifically great at curing chronic internal pains. She can help you so much. 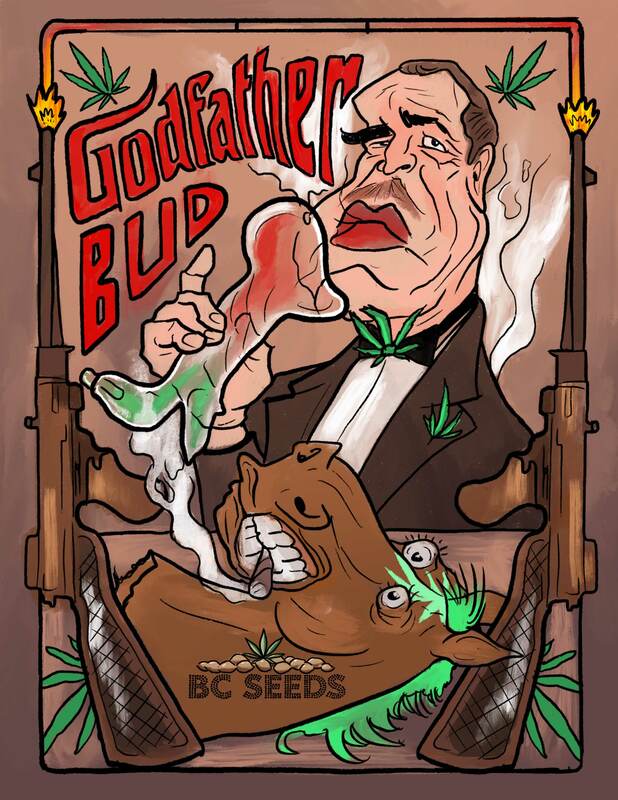 When other strains fail, Godfather Bud will come to your rescue. One of our top selling strains for patients in severe chronic pain. Work’s wonders on skin cancer and lung cancer pain to name just a couple. What is Dagga slang for? For those that would like to learn more about Dagga, please visit this Urban Dictionary website. It explains that in South Africa where they speak Africaans, dagga simple means weed. As in the kind you smoke, like cannabis and marijuana. It doesn’t have any other meaning other than weed. Thanks guys, I got all my seeds germ’d, even your caramelisious freebies. 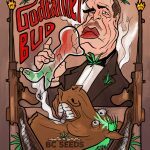 BC Seeds is good seed company with some really expensive strains and when on sale some really amazing deals . This was such a great price and they sent me some freebies too, they were caramel female seeds. Sweet deal!